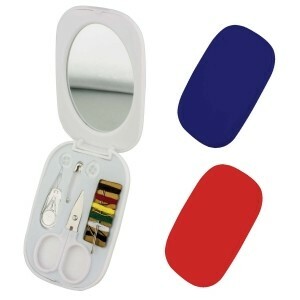 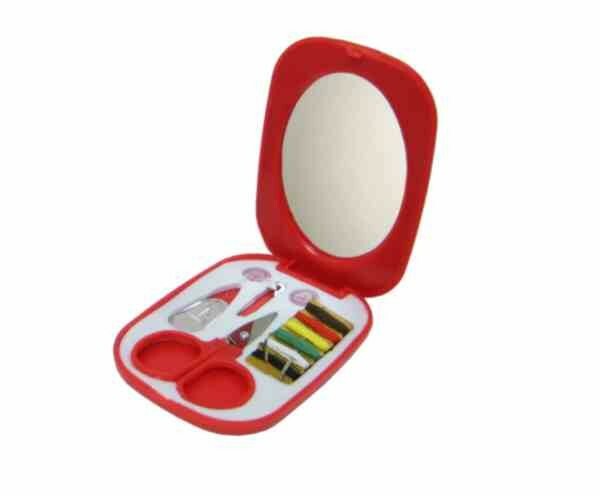 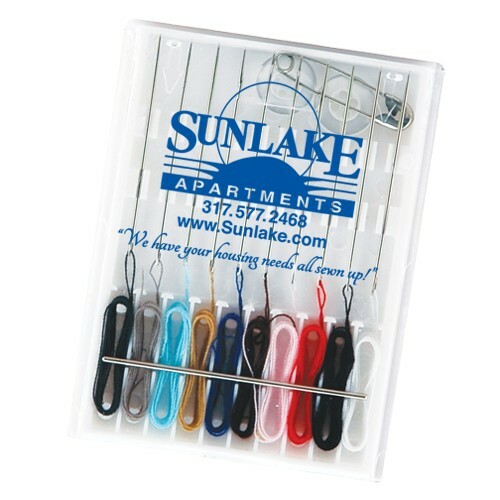 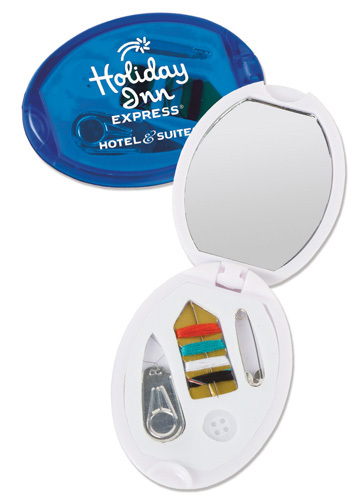 The On-The-Go Sewing Kit with Mirror is a great way to handle those wardrobe malfunctions we all experience now and then. 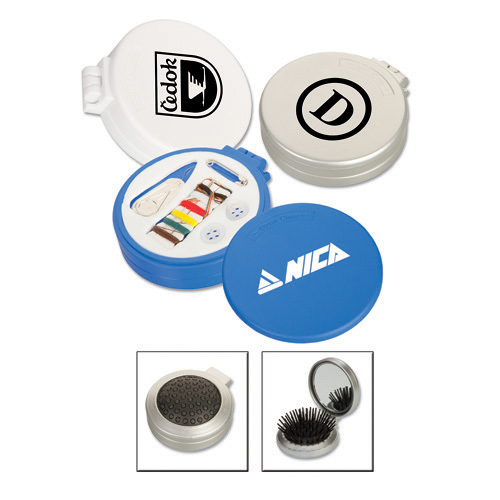 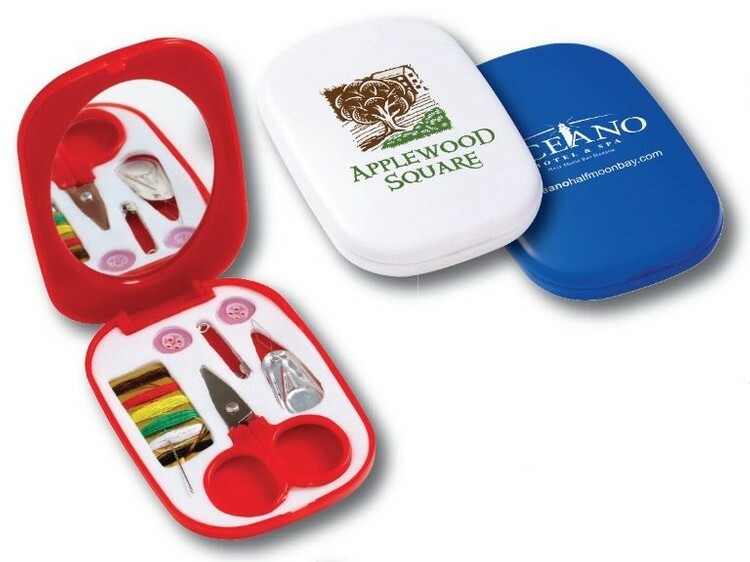 Discreet and compact it will go everywhere with your customers and your logo is front and center! 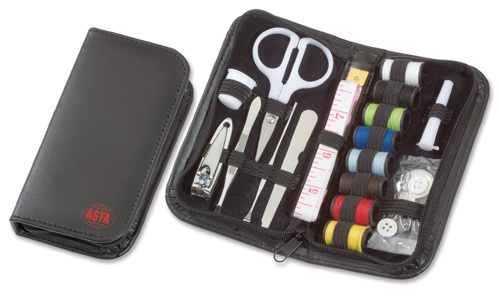 Contains thread, needles, threader, safety pin, 2 buttons and a tiny pair of scissors. 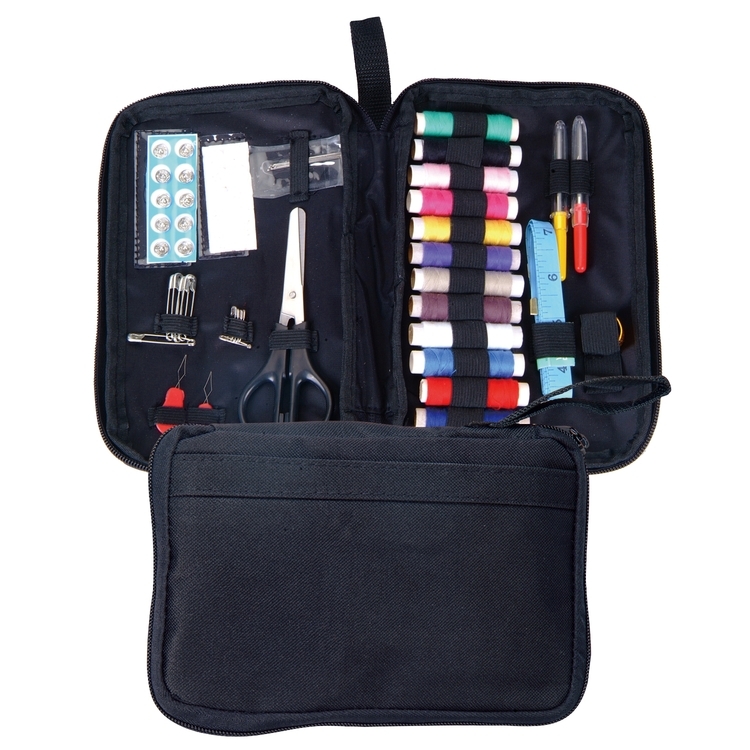 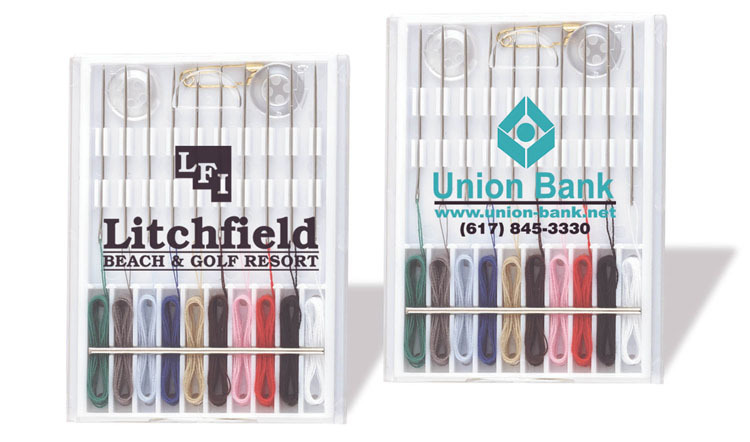 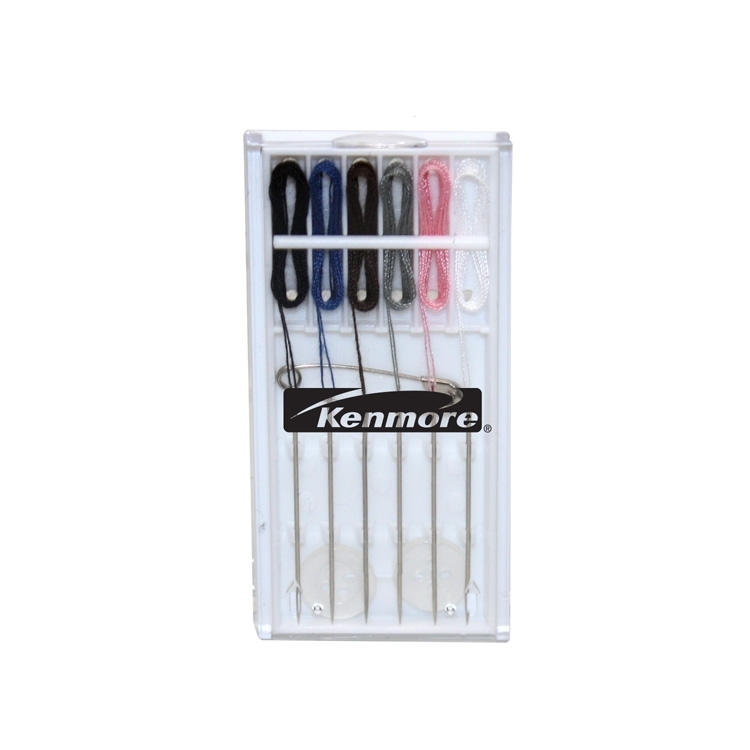 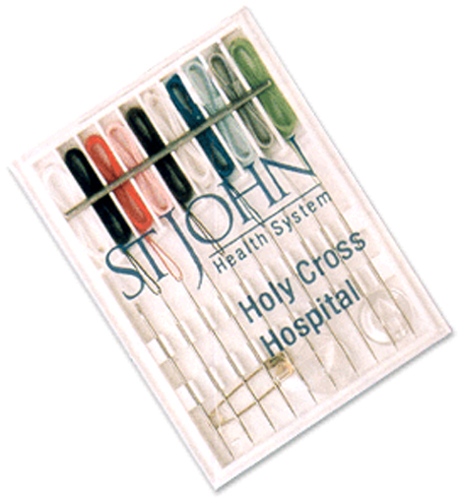 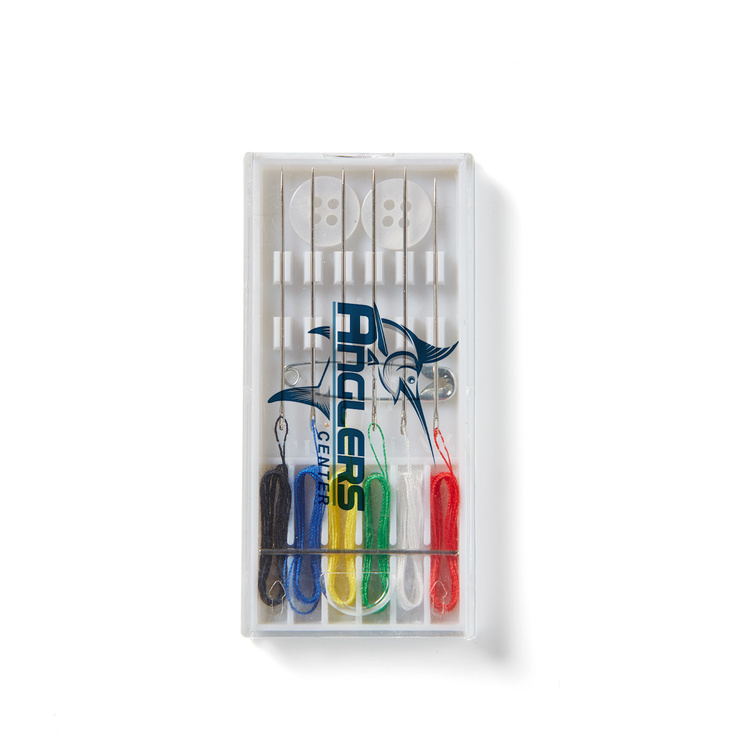 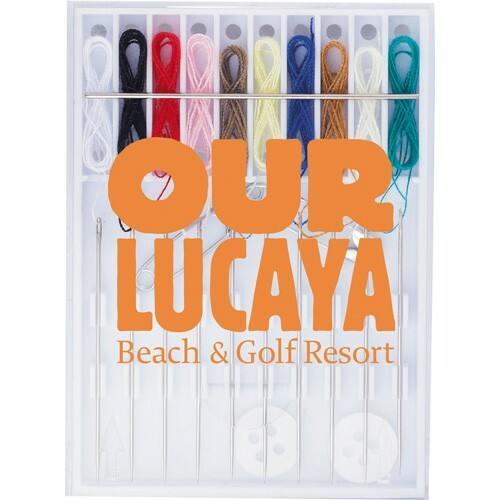 Our 10-Needle Sewing Kit includes 10 pre-threaded needles, one safety pin and two buttons in each kit. 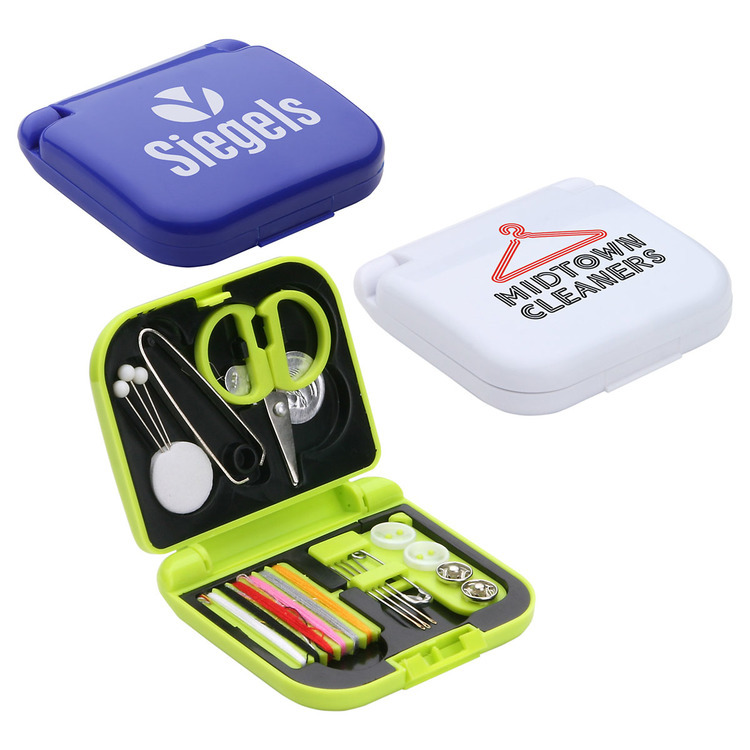 It's perfectly practical! 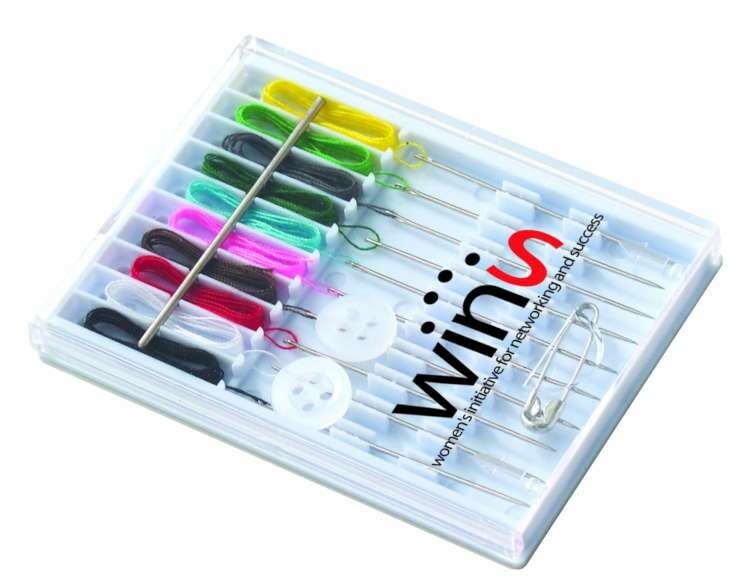 6 pre-threaded needles, safety pins and buttons. 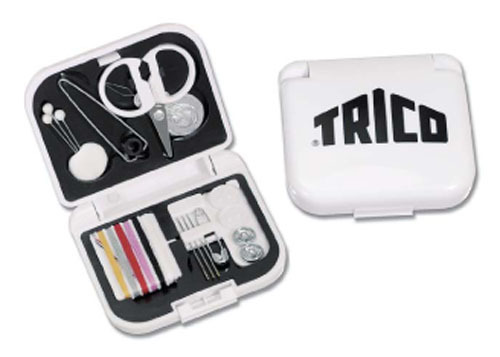 Colors: White, Black Imprinting available on cover of kit. 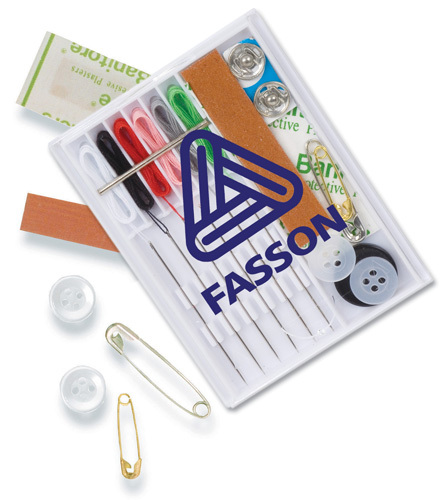 Features include ten pre-threaded needles, a safety pin and two white buttons. 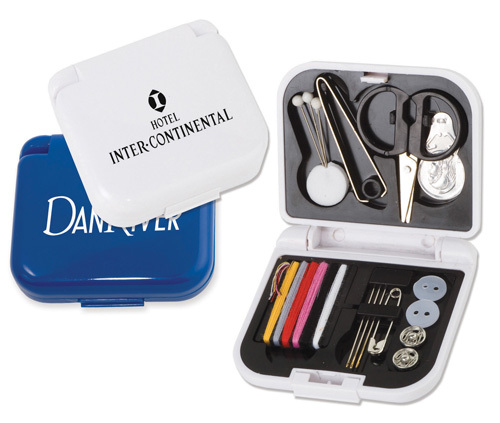 This sewing kit compact is great to keep in your purse or for traveling for those unexpected fixes on th road!